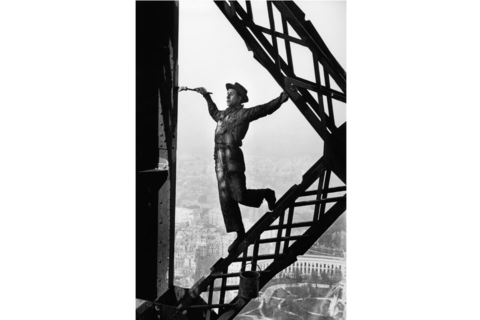 After working as an engineer in Lyon, France, Marc Riboud made his way to Paris in 1952 with a Leica camera round his neck and the determination to become a photographer. “With my camera and one roll of film I walk to the Eiffel Tower like a tourist from the provinces.” With this idea, Riboud captured the extremely popular Eiffel Tower Painter in 1953, and obtained his first publication in Life Magazine. For the next sixty years, Leica became an irreplaceable partner for Riboud, making the perfect combination of a superb photographer and superb camera, proven by the many masterpieces captured around the world. The Leica Gallery Tokyo exhibition, The World of Marc Riboud, shows some of Marc Riboud’s most famous pieces that form a documentary style replete with his unique poetic sentiment, which intuitively communicates his world view of being ‘more sensitive to the beauty of the world than to its violence’. 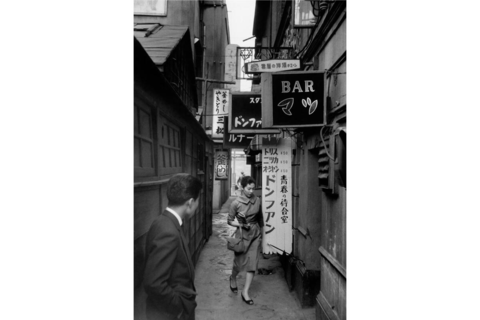 The Leica Gallery Kyoto exhibition, Marc Riboud’s View of Japanese Women, showcases pieces carefully selected from his Les Femmes Japonaises, which have never before been collected for show in Japan. No exception to the rule among Magnum photographers when it came to being a world-travelling photographer, or according to his own words a slow wanderer walking for the pleasure of the eye. For sixty years Riboud intermittently travelled Asia, beginning his tour by stay of one year in India, then China in 1957, and discovering Japan in 1958, focusing for the first time on what will become one of his most beloved subjects: women. Those photographs of Japanese women occupy a unique place among Riboud’s masterpieces, showing the exquisite fusion of the observant eye of the photographer and his aesthetic sense. Visions of women in various situations during Japan’s period of rapid growth are the quintessential representation of both tradition and change. This year, the core of Marc Riboud’s archives will be donated to the National Museum of Asian Arts-Guimet in Paris.